Item # 301776 Stash Points: 2,395 (?) This is the number of points you get in The Zumiez Stash for purchasing this item. Stash points are redeemable for exclusive rewards only available to Zumiez Stash members. To redeem your points check out the rewards catalog on thestash.zumiez.com. Brace yourselves winter is coming, so proceed with warm confidence in the Coal Uniform Marbled Black Beanie. 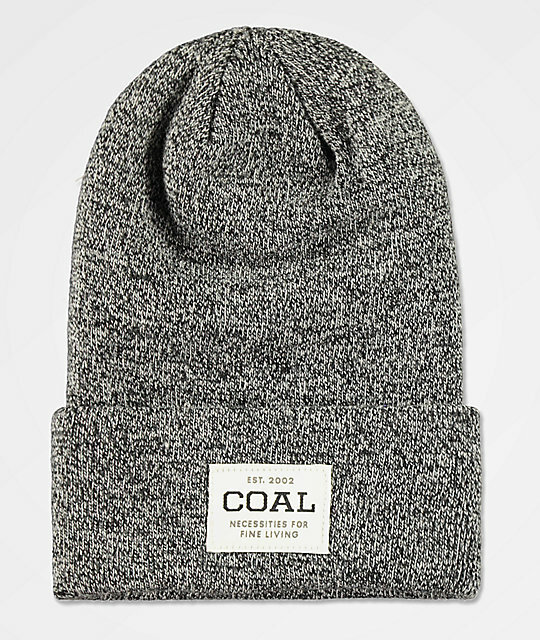 This slouch fit beanie is a cuff style fit and features a large Coal brand logo at the front cuff. The marbled black construction provides a textured look, perfect for any winter outfit. Coal Uniform Marbled Black Beanie. Coal brand logo patch at the front.